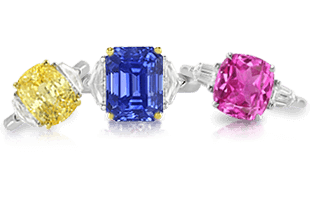 Some of the world’s most impressive sapphires grace the pieces of royal jewels throughout Europe and are standouts at all royal gatherings. 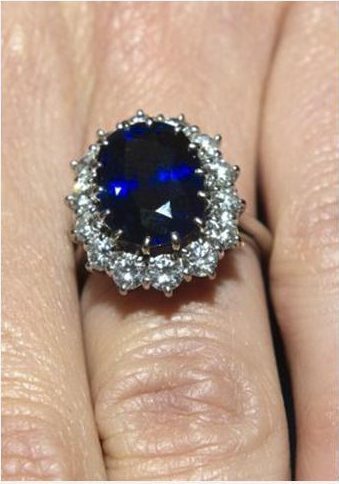 Close-up of Kate Middleton’s sapphire engagement ring, previously worn by Princess Diana. 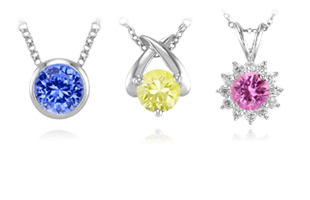 Sapphires have solidified a place in royal history and their appeal has only grown in modern times. The prevalence of blue sapphires adorning royal jewelry, particularly throughout the royal houses of Europe, has led to the deep blue hue acquiring the signifier “ royal blue ” to describe its particular look. As such, a plethora of outstanding, gorgeous, and one-of-a-kind pieces fill the royal treasuries and are often seen worn in public for special occasions. Some have even become known as signature pieces for certain royals. 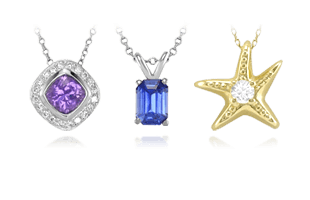 Needless to say, this group comprises some of the most beautiful sapphire jewelry the world has ever seen! The creation of the Leuchtenberg Sapphire Parure is attributed to the official jeweler of Emperor Napoleon, Marie-Étienne Nitot. Created as a wedding gift for Princess Augusta of Bavaria, when she and Napoleon’s stepson, Eugène de Beauharnais, married in 1806. When Augusta’s eldest daughter Josephine married King Oscar I of Sweden and Norway, the set moved to Scandinavia where they have remained. 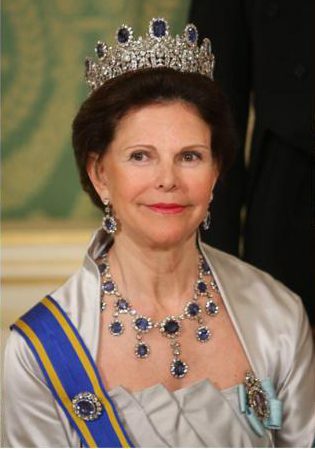 Today, the parure is Queen Silvia of Sweden’s signature set of jewels and is often seen in official portraits and at ceremonies. Queen Silvie wearing pieces of the Leuchtenberg Sapphire Parure. The parure is considered one of the most beautiful displays of craftsmanship ever, and also one of the most complete, containing a tiara, necklace, earrings, brooch and four hairpins. Two of the hairpins have since been incorporated into earrings since the original earrings were supposedly separated from the set. The tiara itself consists of 11 separate sections, which means it can be worn in virtually any form, from a diadem to a crown, and adjusted to perfectly fit the shape of the wearer’s head. The tiara showcases 11 large, rectangular-shaped deep-blue sapphires set on a base of honeysuckles and leaves crafted from 11 oval-shaped diamonds and hundreds of smaller diamonds. 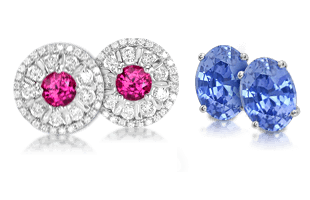 As another testament to its remarkable design, the sapphires can be switched out for other gemstones . Queen Maxima wearing the tiara, earrings, and brooch from the Dutch Sapphire Parure. Purchased in 1881 by King Willem III of the Netherlands for his wife, Queen Emma, the Dutch Sapphire Tiara is utterly extravagant. Featuring 33 blue sapphires and 655 diamonds and set in platinum, the tiara resembles the Gothic architecture of a great cathedral with sparkling stained glass windows. Several of the stones are also mounted en tremblant, meaning they’re attached to a trembler, or a material that acts like a spring, to create movement when worn and reflect the surrounding light. A necklace, earrings, and a brooch were later added to create a parure. Queen Máxima of the Netherlands has streamlined the tiara, redesigning the central diamond element for a more modern look. Perhaps what makes Queen Victoria’s sapphire coronet so special is that it was designed by Victoria’s husband, Prince Albert, with whom she shared an intense love. In fact, the petite coronet was reportedly one of the only pieces Queen Victoria decided was appropriate to wear during her widowhood. Queen Victoria’s Sapphire Coronet, designed by her husband Albert. Most likely commissioned from Joseph Kitching in 1842, the coronet features a flexible Gothic design with both cushion- and kite-shaped blue sapphires set in yellow gold, as well as diamonds set in silver. The coronet passed on to Princess Mary, along with a matching parure, as a wedding gift from her father, King George V, Victoria’s grandson. It was reportedly last seen in 2002 at an exhibit at the Victoria and Albert Museum in London. One of the most recognizable pieces in the Danish Crown Jewels, the Connaught sapphire brooch has a long and illustrious history with modern flare. 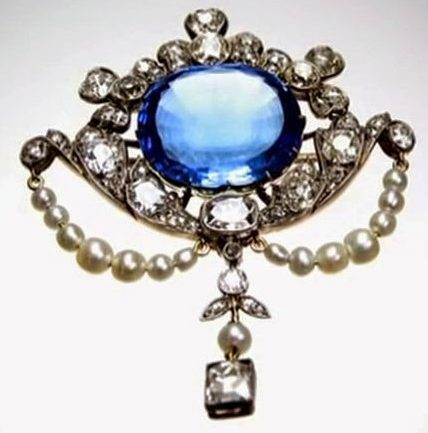 The brooch itself features a large faceted blue sapphire surrounded by various cut diamonds, with swags of pearls suspended from the main element along with a floral diamond and pearl drop. The Danish Connaught Sapphire Brooch with a flawless center stone. This special piece can be traced back five generations in the family when it was first given as a wedding gift to Princess Louise Margaret of Prussia when she married one of Queen Victoria’s sons, the Duke of Connaught, in 1879. The brooch then moved through family lines as daughters married, eventually moving to Denmark with Princess Ingrid when she married. Passed to Queen Margrethe II by her mother Ingrid, it was gifted by Margrethe to Crown Princess Mary upon the birth of her eldest child in 2006. Since then, Crown Princess Mary has worn it to the christenings of all her children and other special events. “Perfect” is how the craftsmanship is described for Queen Marie-Amélie’s sapphire and diamond parure. Most likely the original property of Empress Joséphine, wife of Emperor Napoléon I, it entered the collection of Queen Marie-Amélie de Bourbon when Hortense de Beauharnais, Joséphine’s daughter, sold it in 1821 to the Queen’s husband, King Louis-Philippe of France. 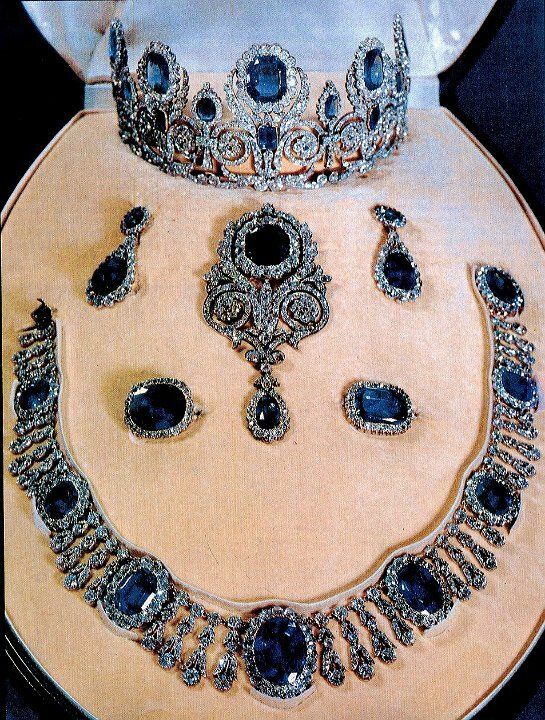 Queen Marie-Amélie’s Sapphire And Diamond Parure on display. The parure remained within the royal French family until they sold it to the Louvre in 1985. 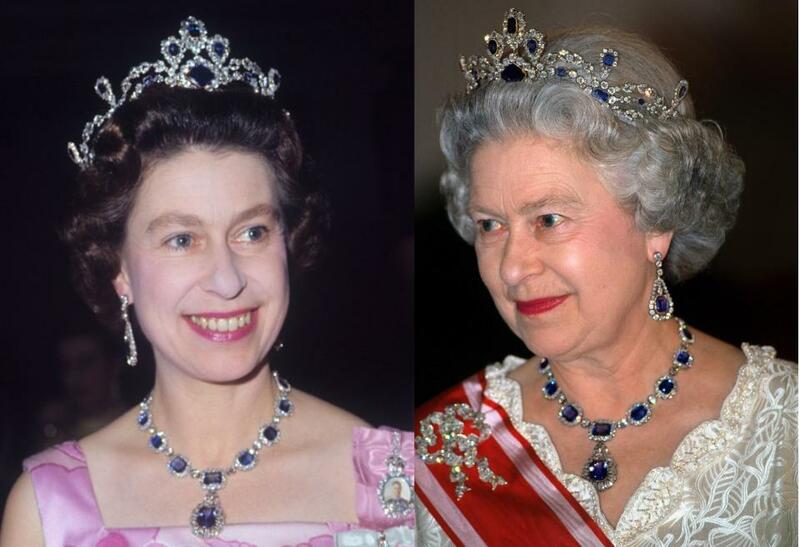 The parure’s tiara is exquisite, featuring large blue sapphires from Sri Lanka (formerly Ceylon) and diamonds set in white gold, with pieces that can be worn independently as brooches. At some point, the tiara was reduced in size, and is displayed in the museum along with the parure’s matching necklace of large oval-shaped blue sapphires encircled with diamonds and separated by articulated diamond “strings,” earrings, one large brooch and a pair of smaller brooches. Portrait of Princess Isabella of Orleans wearing pieces of the sapphire, pearl, and diamond parure. 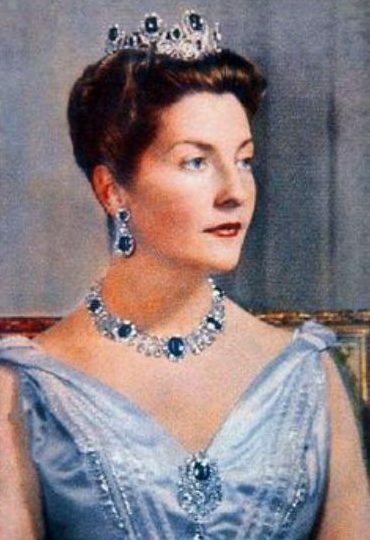 Queen Marie-Amélie had a second sapphire parure, which also included pearls. Created for her by French royal jeweler Bapst from existing jewels in her collection, the tiara features seven oval-shaped blue sapphires said to be of Sri Lankan origin with graduated-diamond surrounds atop diamond festoons accented with pearls and blue sapphires. The parure also includes earrings, three brooches (including two epaulette brooches), and a belt buckle or the center plaque of a bracelet. Like the Queen’s sapphire and diamond parure, this one remained within the French royal family until it was sold in the 1990s. 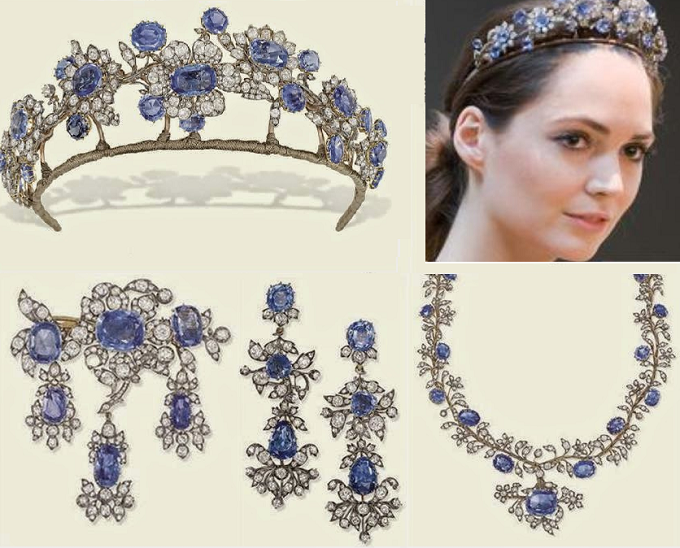 The setting of the blue sapphires and diamonds in both of Marie-Amélie’s tiaras closely resemble Kate Middleton’s engagement ring, first given to Princess Diana of Wales. Artistic drawings of the Barberini Sapphire Parure. The Barberini sapphire parure, with its free-form floral motif, offers a refreshing design change from the more architectural pieces on this list. Belonging first to the Barberini family of Italian nobility, which rose to prominence in the 17th century, the matching set includes a blue sapphire and diamond tiara, necklace, girandole earrings, and a brooch. The tiara, which dates from around 1850, resembles a wreath of flowers composed of a rose-cut diamond branch blossoming with old-cut diamond flowers and collet-set blue sapphire centers and buds set in gold and silver. It has a light and airy quality that’s feminine and romantic. The parure was reportedly last sold at auction in four separate pieces for a combined total of $250,000, of which $100,144 was for the tiara alone. Taking a page from the European royal handbook, next we cover the Hollywood History of Sapphires | The Screen Legends Who Love Sapphires.